This larger than life inflatable dart board is a must! 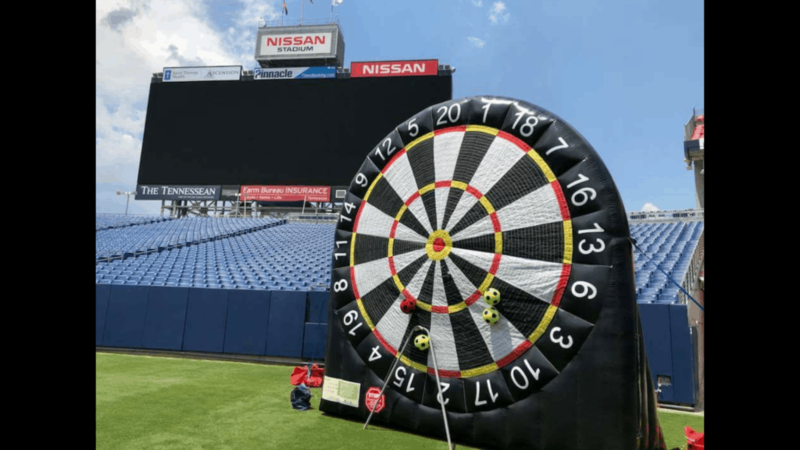 Play a around of darts by kicking soccer balls at the 16 ft tall inflatable dart board. Great for Schools, Churches, & Corporate Events.